- Carbon blade 3 1/4"
The ideal gift for him ! 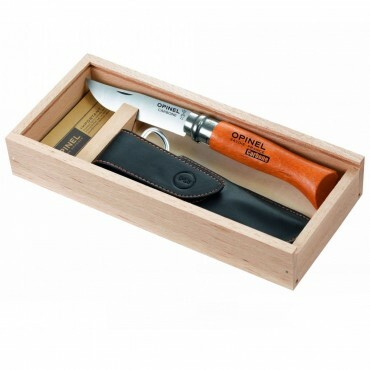 Enjoy this iconic French folding knife famous for its durability. It comes with a nice wood box and a leather belt sheath.